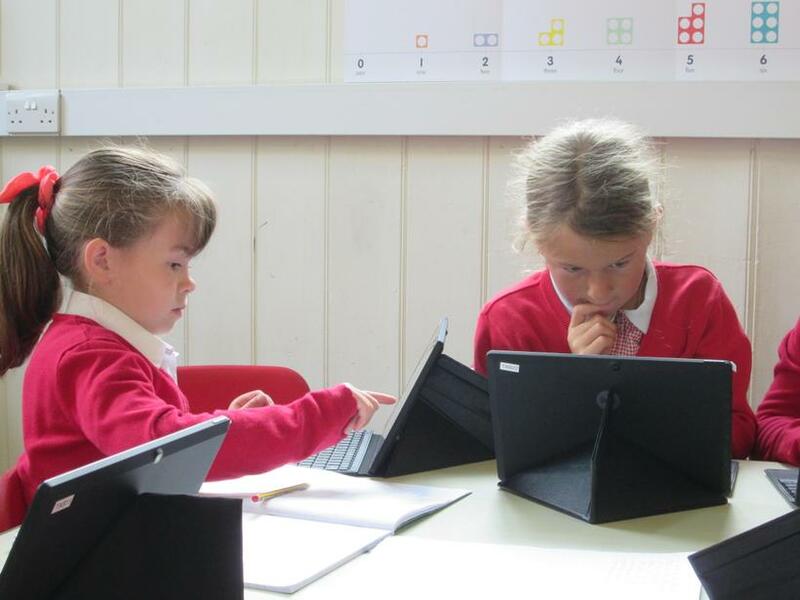 New Tablets in School ! 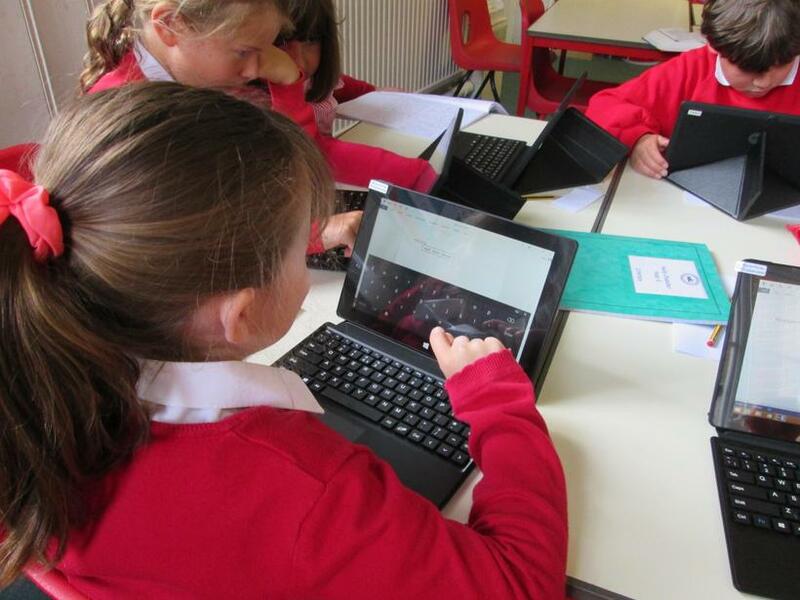 Today the children in Mrs Mack's English group used the NEW TABLETS as part of their English lesson. 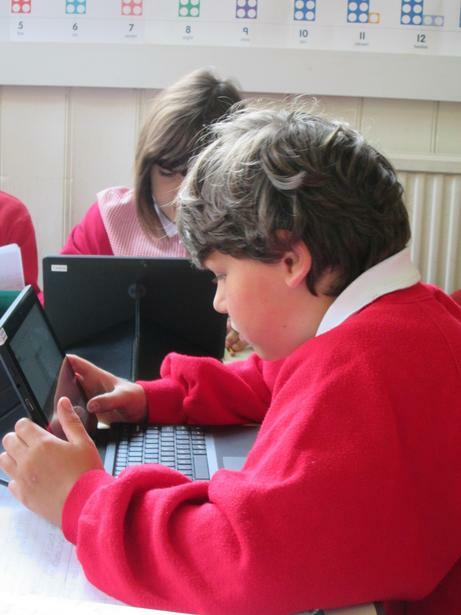 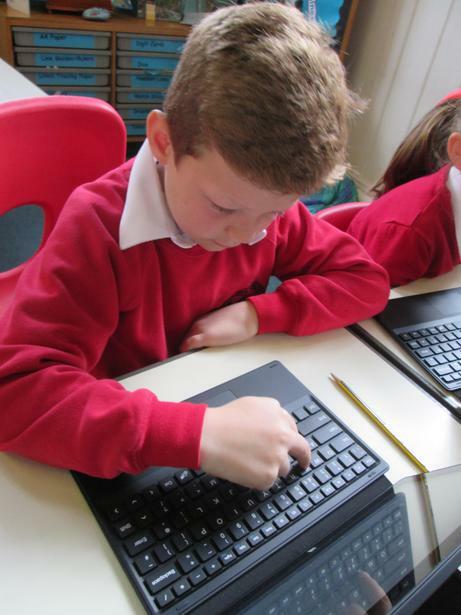 The children have really taken to them and enjoy using the attachable keyboards. 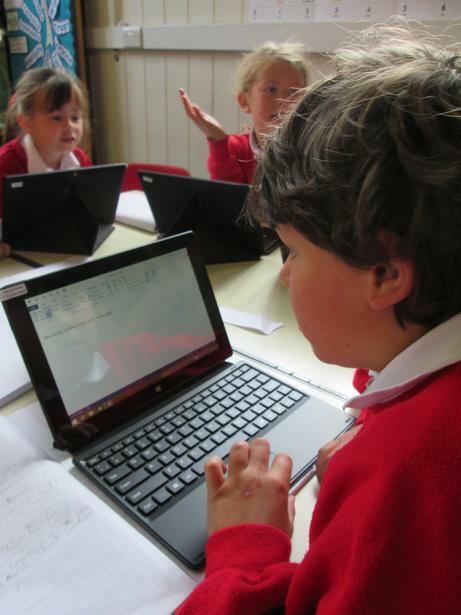 Many thanks to the Governing Body who supported the arrival of these excellent machines. 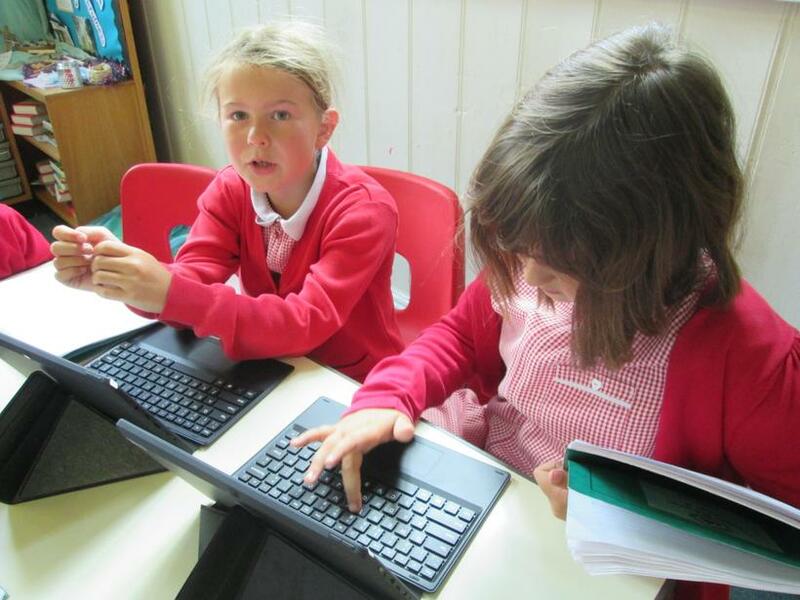 We have enough for one-per-child in a lesson! 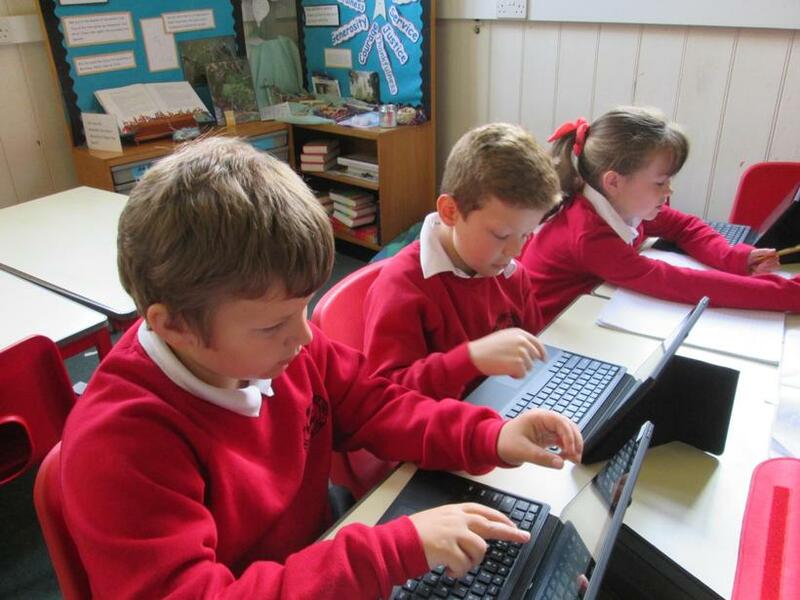 All the children will be using these devices in lessons to come.